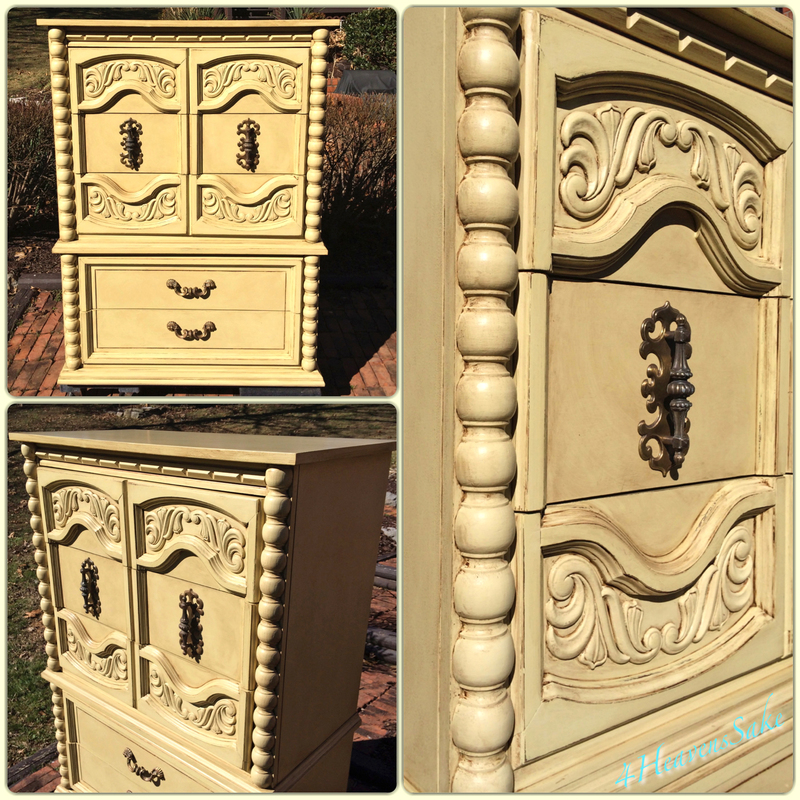 Nancy of 4 Heaven's Sake says, "This project turned out exactly how I envisioned! GORGEOUS! I didn't have enough of one color to complete this piece so I mixed equal parts of Antique White and Millstone, then 1/4 Basil and 1/4 Buttermilk. I then used High Performance Top Coat in flat and VanDykeBrown glaze over the entire piece. I can ALWAYS count on GF products! LOVE THEM!" Remember that GF's Glaze Effects always requires a top coat sealant! Great work, Nancy!